and judging by the silence neither is JPJ. Not bothered or interested - exactly - so should not care if Jimmy wants to release stuff. If he doesn't care, then why would he object? So it's all down to if Jimmy wants to or not. I think there will be releases, but in Jimmy's time - not normal human time. JPJ silence is not deliberate, he just does his own thing. He fondly looks back from every interview I have seen him in. No regrets, no distance, just happy doing what he is doing now and happy with what they once did. I do firmly believe if Jimmy wanted to, he could easily get together with Jonesy and create new stuff. Again, it's all down to Jimmy. What's all this talk about wanting "new stuff" to be worked on. Even if "that" happened, they'd still be expected to perform the "old stuff" on tour. And how would they agree, all agree to perform it. Plant solo style, Page & Plant style, O2 style??? There's not a pipe big enough for these dreams. I'm expecting nothing. If it wasn't O2 style, I wouldn't be interested at all. There is not reunion, or reunion gig in the works. But no one can stop you from dreaming.. The new stuff I referred to wouldn't be Zeppelin. Just Jimmy and Jonesy - and others. I don't think that is too remote a possibility. Reunions? yes, definitely would be a minor miracle. Has Mr Page or Mr Jones ever provided vocals for any of their projects before during or after LZ?. Jimmy sang lead on his debut single, "She Just Satisfies" (backed with "Keep Moving"), released on Feb. 26, 1965 on the Fontana label. He did some backing vocals with Led Zeppelin. JPJ sang lead on two songs on his solo album "The Thunderthief". They are "Ice Fishing At Night" and "Angry Angry". I fail to see any connection to the topic of the thread though as Jimmy & JPJ haven't worked together since 2008 and aren't collaborating on any new music now. JPJ sang lead on two songs on his solo album "The Thunderthief". They are "Ice Fishing At Night" and "Angry Angry"
Jones also sang on "When You Fall in Love" on his Scream for Help soundtrack album. 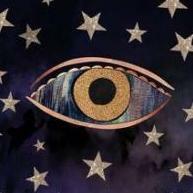 On Thunderthief he also sang on "Freedom Song"
It's not a very good article, on that we agree. 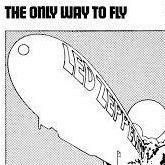 It's obviously written by a millennial snowflake whose knowledge of Led Zeppelin is limited to what he had cut and pasted after thirty minutes of online searching. Then, Mick Wall? Still flogging that book I see. It's an absurd gesture on his part to parrot inaccurate press reports about a reunion as if it's historical fact. I thought that Wall's claim that Plant was turned off from considering further shows with the band as a result of Page requiring privacy backstage at the O2 arena was kind of ridiculous. I recently read somewhere that Plant refused to participate in a meet & greet with fans at one of his recent 2018 shows, so it kind of sounds a bit hypercritical on Plant's part to have condemned Page. You have no substantiation for this claim. 'Millenial snowflake'. Get a new slant Steve, because this was old when you were peddling it years ago. Don’t forget John Lennon’s Imagine (deluxe anniversary), Rush’s A Farewell To Kings (40th Anniversary deluxe edition) & Elvis’ 68 Comeback Special deluxe 50th anniversary) all out now or soon, too. still waiting on Anniversary edition / live releases from LZ. 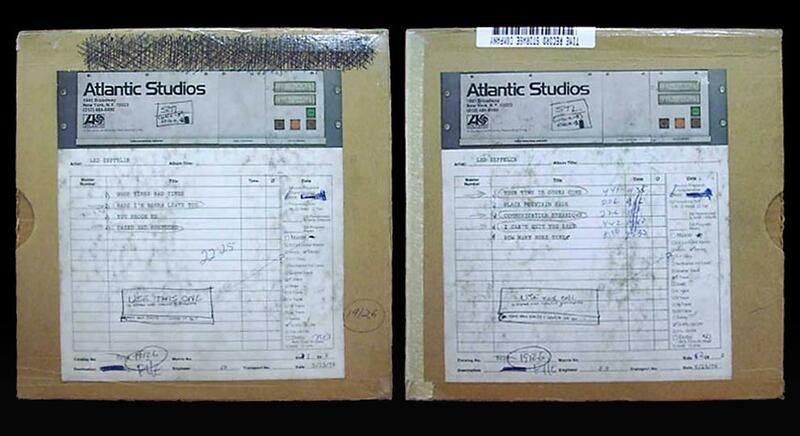 November 11, 1968: Jimmy Page and Peter Grant travel to New York, armed with the Page-produced master tapes of the group's first album. 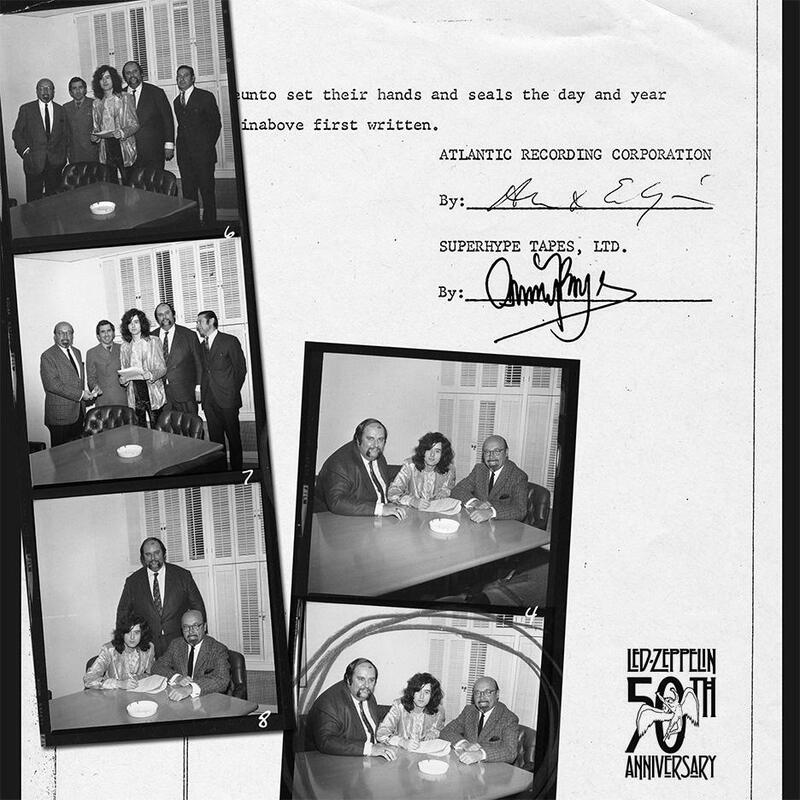 The meeting includes Atlantic Records' co-founder Ahmet Ertegun and attorney Steve Weiss at Atlantic's office - 1841 Broadway. They then traveled to Miami for a short trip, including a fishing expedition with Atlantic’s executive vice-president Jerry Wexler. A reported $200,000 signing advance is soon announced - a monumental sum at the time. When there are five of them in the pic, who's the bloke on the right? Atlantic's lawyer? Thanks, Sam. Happy 50th!! I picked up the new Led Zeppelin hardback book from RAP. Great work on that. Congrats. Ain't gonna happen. No tour. No gigs. No new stuff. *possible exception Jimmy does actually start playing again (as solo artist). The best we can hope for is Jimmy release live stuff covering different era's - likely only be an expanded DVD release (FULL: EC, Knebworth, RAH - which is fine by me if that is what is in the pipeline - not perfect, but I'll take it and be happy). Maybe HTEWW, maybe Bath or something similar that was multi-tracked and decent enough. BUT - if there are multi's on a shelf - there must be a reason they have not been discussed, mentioned, or released up until now. Probably they are sub-par and not something the guys are happy with. There is also zero talk of cleaning up SB's, or looking into fantastic gigs that are not really nice multi's - so the live vaults may be just as desolate as the studio vaults at this point. 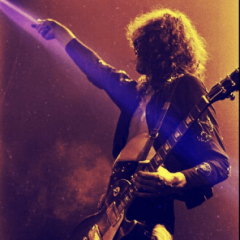 The dark horse possibility being Jimmy's previously stated desire to release collection of live stuff expanding the entirety of Zep's reign. So from '68/'69 to '80 inclusive. *IF Jimmy accepts SB recordings will need to be used - so a really, really dark horse. When will we get more information about the Led Zeppelin streaming service? Could be months, could be never. What we have so far isn't even a rumor or a leak - it's just a trademark application. Trademark applications sometimes don't manifest as actual products for months or years, or ever. The weirdest piece of news this 50th anniversary (?) year. A painting of Percy got nicked! When the news came around that Led Zep's 50th anniversary was coming up, I was expecting a little more than just a book and some online song list. I wasn't expecting a concert but I was hoping for a live album. Nothing. I will say I am not interested in paying for crappy bootlegs on some website when Youtube has ton of those already. Things will be different 60 days from now.